Bo Lee is a practicing Architect and a visual Artist. By day, Bo draws straight lines and builds spaces. By night, she indulges herself by drawing characters who she believes have a lot to say and share. Bo (b. 1972) was raised in Seoul, South Korea, and while in Korea she received classical training in drawing, sculpture, and printmaking, as well as calligraphy, Korean dance, and poetry. 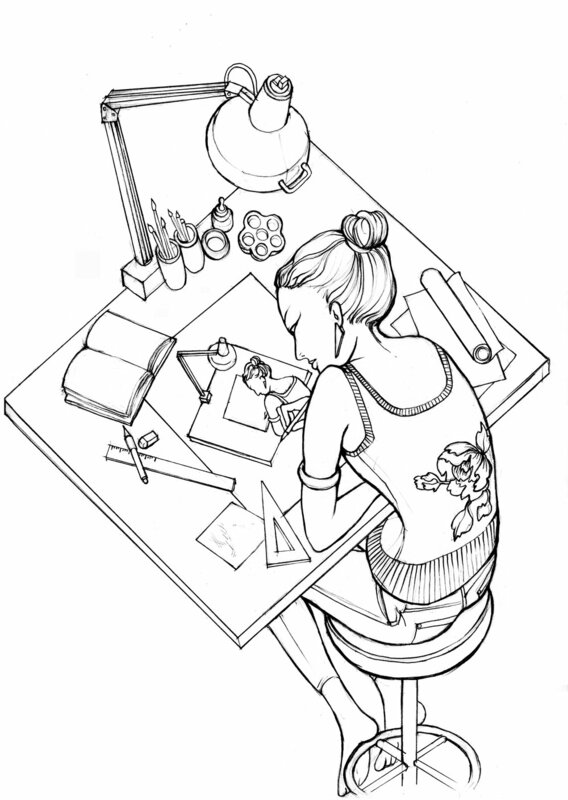 However, the center of her artistic practice will always be informed by her early and voracious obsession with Manhwa, Korean comic books. Bo immigrated to the US at age 14, and was plunged full immersion into American Language and Culture. In many ways her life and work are defined by this cultural duality. She moved to NYC in 1997 and currently resides in Clinton Hill, Brooklyn.